Montana Cannabis was one of the most visible state medical marijuana providers raided in the March 2011 statewide crackdown by federal authorities. Chris Lindsey, an attorney and co-founder of Montana Cannabis along with Richard Flor, Chris Williams, and Tom Daubert, struck a deal in August 2012 with federal prosecutors to plead guilty to a single charge of conspiracy to maintain drug-involved premises. The plea agreement dropped several other charges against Lindsey, including conspiracy to manufacture and distribute marijuana and possession of a firearm during a drug-trafficking offense. Lindsey testified for both the prosecution and the defense at the trial of co-defendant Chris Williams in September 2012. Chris Lindsey was sentenced to five years of probation by U.S. District Judge Dana Christensen on January 4, 2013. Judge Christensen also ordered Lindsey to refrain from marijuana use, undergo regular drug testing, complete 200 hours of community service, stay away from firearms, and forfeit $288,000 in bank accounts of the Montana Caregivers Association. After his sentencing, Lindsey announced that he would remain president of the Montana Cannabis Industry Association, an advocacy group that filed a lawsuit against medical marijuana restrictions passed by the state legislature in 2011, despite the judge's order that he refrain from using cannabis. Last updated February 4, 2013 by Lex Libreman for WEED WARS: United States v. Marijuana. Cederberg, Jenna. "Montana Cannabis Partner Sentenced to Probation." Missoulian.com. Missoulian.com, 04 Jan. 2013. Web. 04 Feb. 2013. <http://missoulian.com/news/state-and-regional/montana-cannabis-partner-sentenced-to-probation/article_3d07e22c-56b3-11e2-a433-001a4bcf887a.html>. "Co-founder of Helena Medical Marijuana Provider to Plead Guilty." HelenaIR.com. Helena Independent Record, 29 Aug. 2012. Web. 04 Feb. 2013. 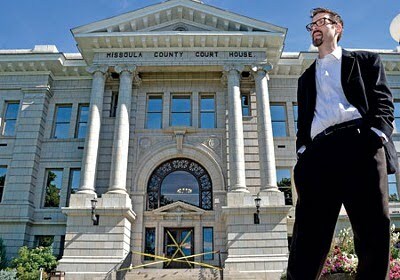 <http://helenair.com/news/local/crime-and-courts/co-founder-of-helena-medical-marijuana-provider-to-plead-guilty/article_77b26802-f1a0-11e1-a4ec-0019bb2963f4.html>.